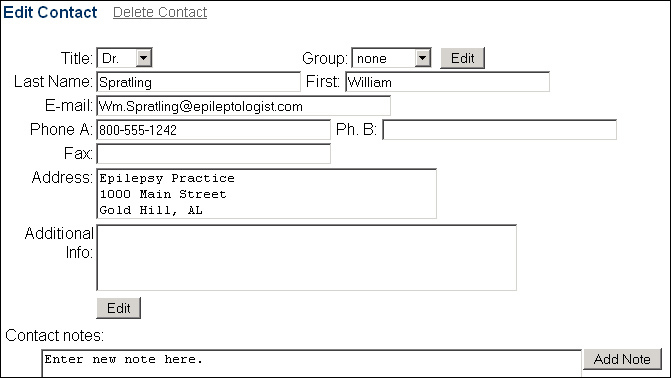 From the Seizure Tracker Edit contacts page users have the options to change or delete their contact information. Users can collect email addresses, phone numbers, fax number, and mailing addresses. Also, users have a "Additional Information" notes section and the "Contact notes" section. -Clicking on the Contants name will direct you to the Contact Edit/Delete page.